We are pleased to announce details of our Early Career Residencies for 2019. 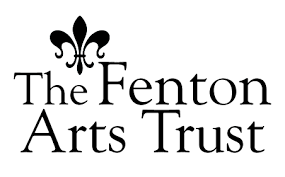 With support from The Fenton Arts Trust, Cove Park will award four residencies in September 2019 to four UK-based artists in the early stages of their careers. These funded three-week residencies will take place from Monday 2 – Sunday 22 September 2019 and each artist will receive private accommodation, studio/workspace and a fee of £1,200. Artists specialising in visual arts (with a focus upon painting and sculpture), literature, crafts/design and music/ composition are all welcome to apply. Further information is available here and the deadline for applications is Monday 3 June 2019 (midnight). The Scotland + Venice partnership is delighted to reveal details of the venue for Charlotte Prodger’s solo presentation of new work during the 58th International Art Exhibition – La Biennale di Venezia, which runs from 11 May to 24 November 2019. The venue announcement coincides with news of the appointment of the London-based designer Roland Brauchli, selected to design the identity for Scotland + Venice 2019. This presentation is commissioned and curated by Linsey Young with Cove Park and you can read more about the project here. We would also like to extend our congratulations to Charlotte Prodger, winner of the 2018 Turner Prize! This is wonderful news and very well deserved. You can read more about Turner Prize 2018 and Charlotte’s work here. We are delighted to announce that the first residencies for artists based in Scotland as part of the Scotland/Japan Residency Exchange Programme have been awarded to the Glasgow-based artist Florence Dwyer and the Edinburgh-based design curator, writer and producer Stacey Hunter. Florence and Stacey will travel to Japan in January 2019 for eight and six-week residencies respectively with Arts Initiative Tokyo and Creative Residencies in Arita. These residencies are part of a wider residency exchange programme developed collaboratively by Cove Park, Edinburgh Sculpture Workshop and Hospitalfield with key partners in Japan. The programme marks the British Council’s UK/Japan Season of Culture 2019/2020 and the 2020 Olympic in Tokyo. In 2019 the Scottish partners will welcome artists from Japan to their own residency programmes and, in 2020, a further two artists from Scotland will have the opportunity to work in Japan. This programme builds upon a residency exchange developed between Cove Park and AIT between 2012 and 2014. Our partnership with ESW and Hospitalfield ensures this project can work with and support more artists and allow those artists from Japan to experience more of Scotland and work directly with some of our leading residency organisations and production facilities. These first residencies will give Florence and Stacey a unique opportunity to work both in Tokyo and in Arita, the birthplace of Japanese porcelain, and to benefit from the skill and expertise of the ceramicists connected to CRIA’s programme. We are grateful to AIT, CRIA, British Council Scotland and Creative Scotland for their support and to the Daiwa Anglo-Japanese Foundation, the Great Britain Sasakawa Foundation, Saga Prefecture International Affairs Division and the Agency of Cultural Affairs, Japan. Image: The launch of the Scotland/Japan programme at Cove Park, 30 October 2018: (left to right) Laura Simpson (Director, ESW), Stacey Hunter (design curator), Florence Dwyer (artist), Shintaro Tokairin (Project Manager, AIT), Yoriko Ishizawa (Programme Director, CRIA), Lucy Byatt (Director, Hospitalfield), Alexia Holt (Associate Director, Cove Park). Photography: Alan Dimmick. The Scotland/Japan Residency Exchange Programme is supported in the UK by the British Council/Creative Scotland, the Daiwa Anglo-Japanese Foundation and the Great Britain Sasakawa Foundation. We are also grateful to AIT and to CRIA for their support and the support of their own funders. This year’s Turner Prize exhibition opened on 26 September and features nominated artist Charlotte Prodger. A film commissioned by TateShots on Charlotte and her work has been produced to accompany the Turner Prize and can be seen here. Produced by Connoly Clark Films, and filmed here at Cove Park, it is a wonderful introduction to Charlotte’s work. We look forward to working with Charlotte, and curator Linsey Young, on her new commission for Scotland + Venice 2019. In 2019 and 2020 Cove Park, Edinburgh Sculpture Workshop and Hospitalfield will collaborate with a number of partners in Japan to deliver a new residency exchange programme for visual artists, makers/designers and curators based in Scotland and in Japan. This programme, supported by British Council Scotland/Creative Scotland, The Daiwa Anglo-Japanese Foundation and The Great Britain Sasakawa Foundation, will take place over two years, marking the British Council’s UK/Japan 2019/2020 Season of Culture and the 2020 Olympics in Tokyo. This is the first open call for the Scotland/Japan Residency Exchange Programme. We now wish to invite visual artists, makers, designers and curators based in Scotland – with a particular interest in ceramics – to apply for two residencies taking place in Japan between January and March 2019 (one place for an artist and one for a curator). These residencies are offered jointly by Arts Initiative Tokyo in collaboration with Creative Residency in Arita and the participating artist and curator will have the opportunity to work in Tokyo and in Arita. Please note, further calls for applications for residencies with other partners in Japan and for Japanese artists to take part in residencies in Scotland will follow. We are delighted that Emma McIntyre will be joining the Scotland + Venice 2019 team as Project Manager. Emma McIntyre has produced and managed numerous large scale events, festivals and commissions, and has most recently held positions as Associate Producer at Glasgow International Festival of Visual Art and Tramway, Glasgow. Charlotte Prodger has been selected to represent Scotland at the 58th International Art Exhibition – La Biennale di Venezia. This presentation is commissioned and curated by Linsey Young with Cove Park. Scotland + Venice 2019 now seeking a Project Manager and a Designer. We now seek to appoint a Project Manager to work with the Curator and Cove Park. The Project Manager will be contracted by Cove Park and will work closely with them and the Curator to realise this commission and solo presentation for the Venice Biennale. The successful candidate will have experience of delivering major visual arts projects including managing commissions and complex installations. The position will be offered as a fixed term, freelance contract inclusive of travel and accommodation within Scotland. Working closely with the team at Cove Park is essential and the Project Manager will be welcome to work from Cove Park (ideally a minimum of two days a week). The contract is expected to run from September 2018 to December 2019. Deadline is 5pm, Friday 20 July 2018. Interviews will be held at Cove Park on Thursday 2 August 2018. Scotland + Venice would like to appoint a designer to develop an identity for Charlotte Prodger’s presentation at the Venice Biennale in 2019. This will include all marketing material: print, bags, and invigilator T- shirts. The appointed designer will be integral to the development of a publication for the artist on the occasion of Scotland + Venice 2019. The fee is £5,000 (payable in 2 instalments and inclusive of VAT). There will be a separate budget to support the production and delivery of the agreed marketing materials and approved project expenses will be reimbursed separately. The fee is based on an estimate of 25 days work. Deadline is 5pm, Friday 20 July 2018. 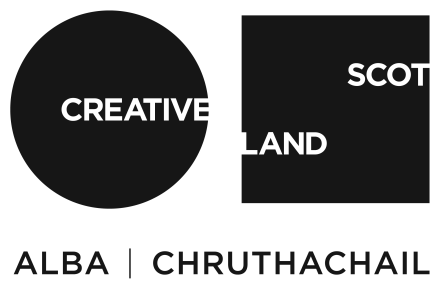 Interviews will be held at Creative Scotland’s Edinburgh office on Wednesday 1 August 2018. We are delighted that visual artist Charlotte Prodger, a Cove Park resident in 2010 and 2018, will represent Scotland at the 58th International Art Exhibition – La Biennale di Venezia. This project will be commissioned and curated by Linsey Young with Cove Park and the presentation will be a major solo exhibition opening in Venice on 11 May 2019 and running until 24 November 2019. Cove Park will host the return presentation of Charlotte’s commissioned work in 2020, our 20th anniversary year, and co-curate with Linsey Young a tour in the Highlands and Islands. The Dutch arts organisation If I Can’t Dance, I Don’t Want To Be Part of Your Revolution, who are supporting the production of the work, will lead on a subsequent international tour. Charlotte Prodger works with moving image, sculpture, writing and performance. The commission for Scotland + Venice will provide her with the opportunity to produce a new single channel video work that will build on her sustained exploration of “queer wilderness”. Prodger, who was a recipient of Cove Park’s Emerging Artist Residency in 2010, supported by The Craignish Trust, will return to develop this new work over a series of research and production residencies in 2018 and 2019. Her work will also be supported by the artist’s production consultant Mason Leaver-Yap. The Venice Biennale is recognised as the foremost global presentation of visual art. This will be the ninth presentation supported by the Scotland + Venice partnership (Creative Scotland, National Galleries of Scotland and the British Council Scotland). Further information is available via Creative Scotland. Image: Charlotte Prodger, ‘Stoneymollan Trail’, 2015. Single channel video. Installation View: Bergen Kunsthall, 2017. Image courtesy of the artist, Koppe Astner, Glasgow and Hollybush Gardens, London Photo by Thor Brødreskift.